Dangerous Girls is an incredibly difficult book to review, given that any preconceived notions will dampen this reading experience. It's incredibly well-crafted, suspenseful, and so much darker than I had expected. The trial itself was very authentic and carefully researched. It was frustrating, enraging, and so incredibly intense, making it very easy for me to become completely invested in its outcome. Anna's account of the event was completely enthralling, and it was easy to see how the media could become caught up in painting her as a "cold blooded killer" - and somewhat scary to think about how this actually happens. 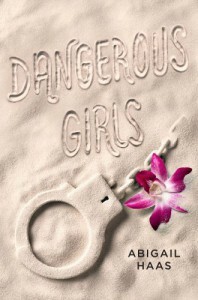 Dangerous Girls' strongest feature, though, is the way in which it is told. The present murder trial is interspersed with flashbacks starting from how Anna and Elise met and leading up until the present day. While this helped me piece together who the murderer was, it also caused me to suspect absolutely everyone. Despite this thick layer of suspicion, I still wasn't expecting the reveal at the end, and I can honestly say that I'm still reeling from it.